There’s no need to peel a Hokkaido pumpkin, but do rinse it well with cold running water. DIVIDE the pumpkin into half and use a spoon to remove the seeds. CHOP the pumpkin into coarse pieces and divide over an oven tray lined with parchment paper. PEEL the red onions, divide into quarters and also divide over the oven tray. 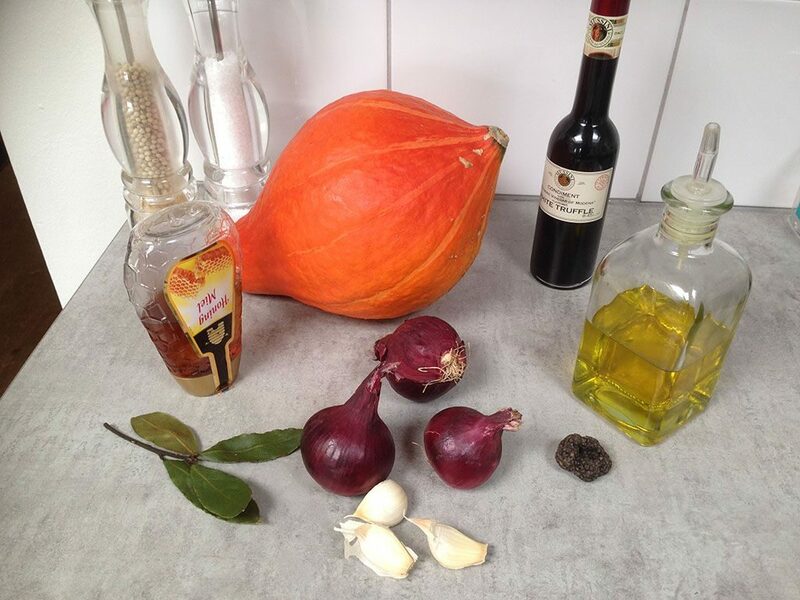 PEEL and coarsely chop the garlic cloves and divide over the pumpkin. 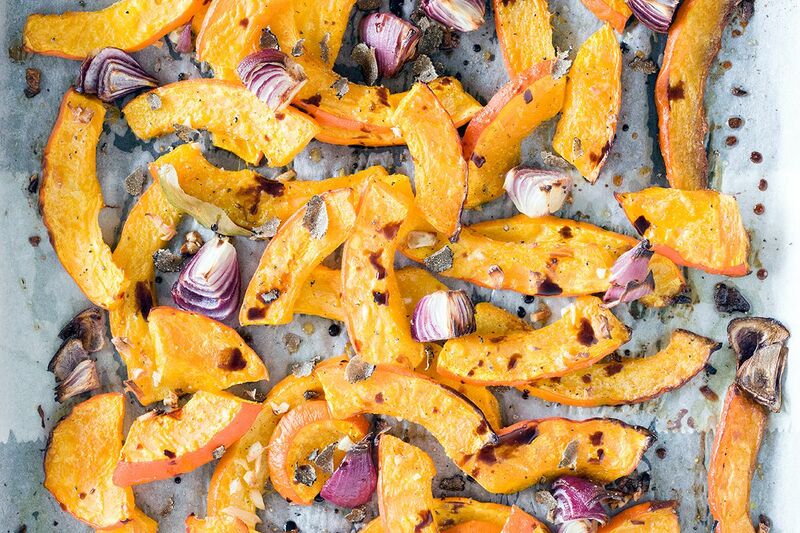 DRIZZLE the pumpkin with olive oil and honey and season with pepper and salt. 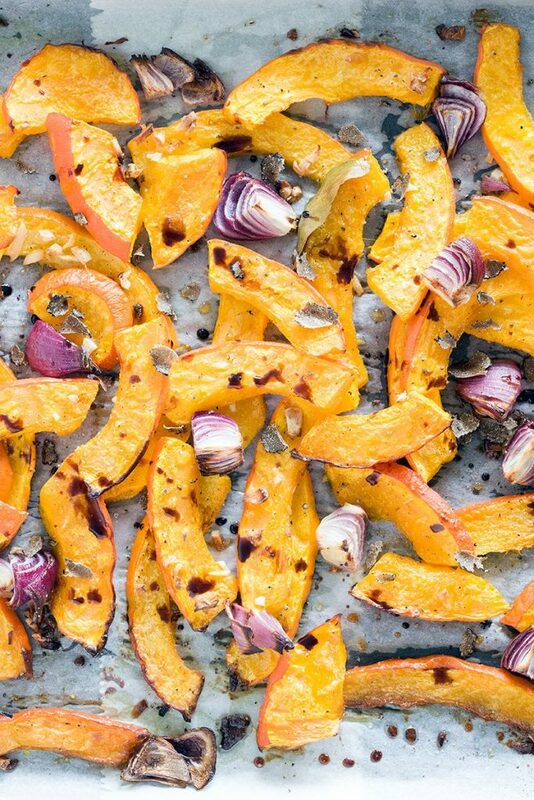 ROAST the pumpkin in the oven for about 20 minutes, depending on the size of the pieces. 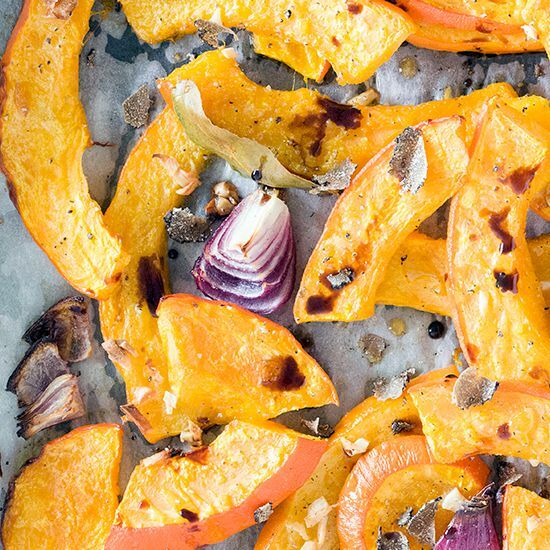 FINISH the roasted pumpkin with balsamic vinegar and truffle shavings. If you don’t have any fresh truffle you can also use it from a jar, but be careful cause the taste of that is much stronger. Amazing as a side dish, e.g. with tagliatelle. Enjoy!